Watermen’s annual Oyster Roast is a spectacular event for both Oyster lovers and for those who don’t particularly care for oysters. Raw and Roasted Oysters from around the region, gluten-free and bacon clam chowders, other great sides and desserts. 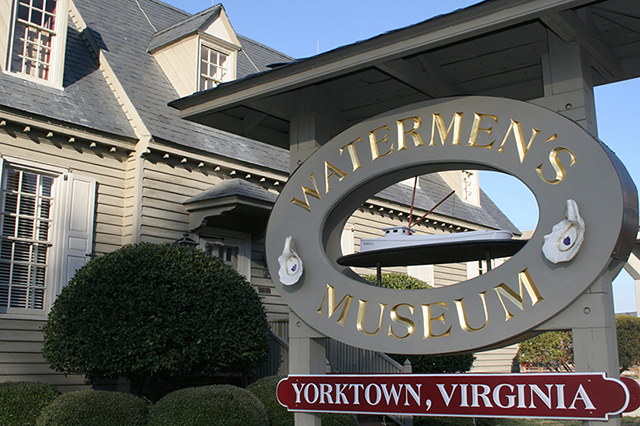 Because we are the Watermen’s Museum, we make sure we get our oysters from multiple fresh seafood harvesters, growers, and vendors in the area so that you can taste the wide range of flavors and salinity levels of Chesapeake Bay oysters grown and harvested in different areas. We’ve been doing the Oyster Roast as our major fundraiser for over a decade. We’ll start serving at Noon and continue serving until 3 PM. You’re welcome to stay as long as you’d like. But, we’ll start tearing down the oyster table and cleaning up before 5 PM. This is an all-you-can-eat event. So make sure you arrive early enough to get your fill. Cost for oyster lovers is $45 for The Works. This gets you as many oysters, as much clam chowder, and as many hot dogs, sides and desserts as you can eat. Cost for lovers of everything except oysters is $35. Children 6-14 pay only $25. and Kids 5 and under are free. Advanced ticket sales, museum members, active duty military, first responders and school teachers receive a $5 discount on all sales. You don’t want to miss this all-you-can-eat Fundraiser for our great little Museum. Tickets go on sale August 7th in the Watermen’s Museum Gift Shop. Call 757-887-2641 or email admin@watermens.org for more info.